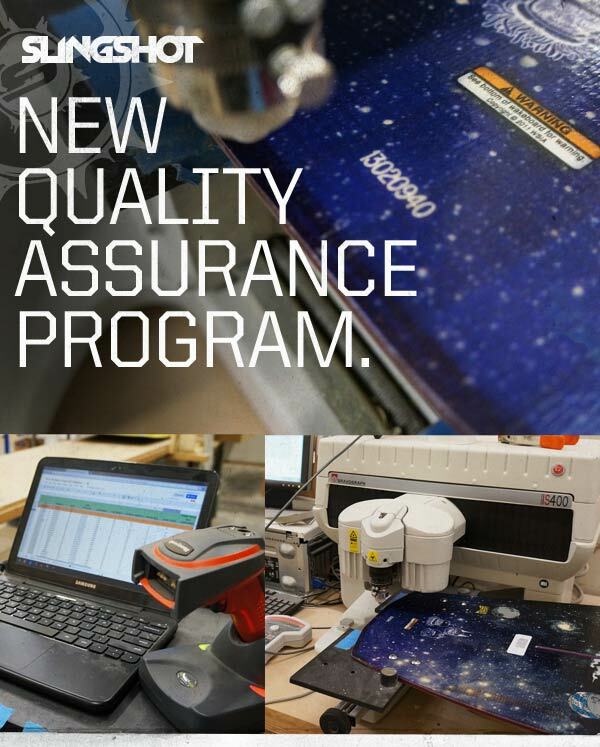 NEW QUALITY ASSURANCE PROGRAM IMPLEMENTED AT MOONSHINE MANUFACTURING. Serialized Work in Process Capabilities Enable us to Collect and Analyze Data with the Following Metrics: All metrics combined allow our process engineers to report on quality, manufacturing velocity and cost benefit analysis. This allows us to optimize the manufacturing processes that drive better product differentiation and a more competitive manufacturing price. Metrics at Station 1. Core Building and Quality Assurance Metrics. Board Serial Number, Model, Size, Wood Glue Batch Number, Urethane Batch Number, Completed Core Date, Factory temperature at time of manufacturing, and Factory Humidity at time of manufacturing. Metrics at Station 2. Laminating and Pressing. Board Serial Number, Model, Size, Date Pressed, Laminator, Top Mold Number, Bottom Mold Number, Press Bay Number, Press Duration, Press Temp on controller, Top Sheet Batch number, Epoxy Batch number, Factory Temp at time of Laminating and Pressing, and Factory Humidity at time of Laminating and Pressing. Metrics at Station 3. Finishing and Final QC. Board Serial Number, Model, Size, Finisher, Date Finished, Final Serial Number Engraved on Product, Pass / Fail Final QC inspection, and Date transferred from factory to warehouse. Serial Number Tracking Capabilities. Each board is engraved with a final serial number on the tail. This serial number is scanned into our Netsuite ERP system. This allows us to track each board through the supply side and to the consumer. – Each serial number will be tracked to final invoice. – Serial numbers can be tracked back to original invoice, and time and date of manufacturing. – When products are registered by consumers, we will know who they purchased it from, and when.